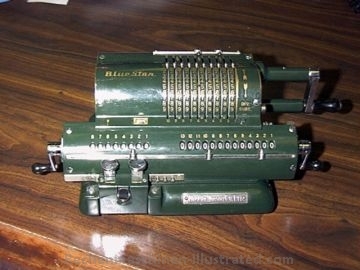 "Blue Star was made by Tokyo Electric Co., Ltd., Japan, which is a sister company of Toshiba. 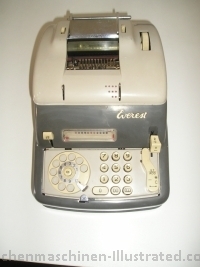 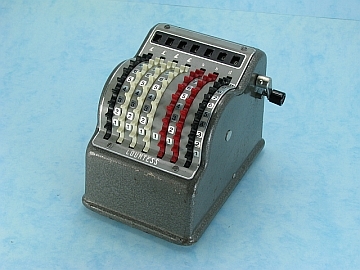 An early model (in black and color) was sold by Nippon Jimuki Co., Ltd. in 1951. 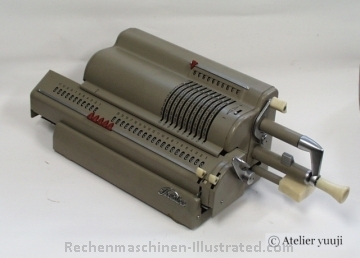 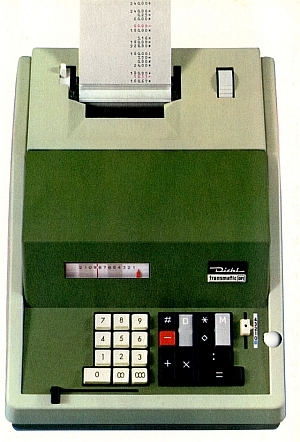 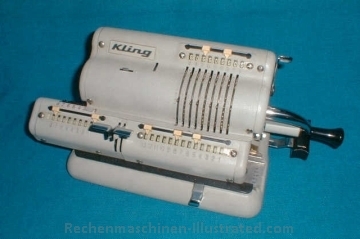 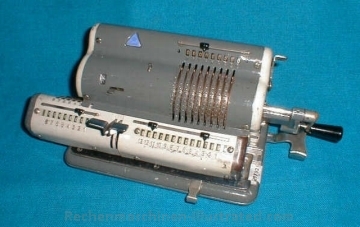 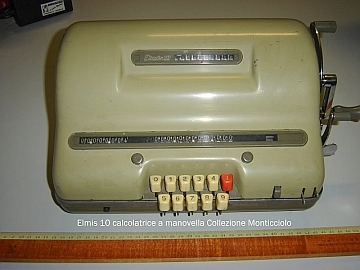 This model was a copy of a Original-Odhner machine. 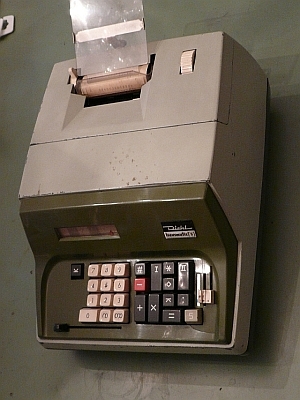 Later, Toshiba Business Machine Co., Ltd. sold the machines under the name "Toshiba"." 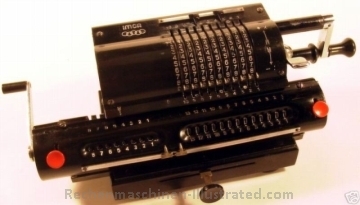 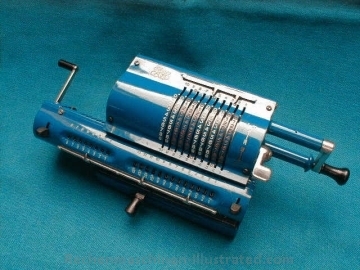 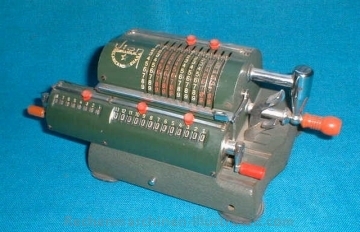 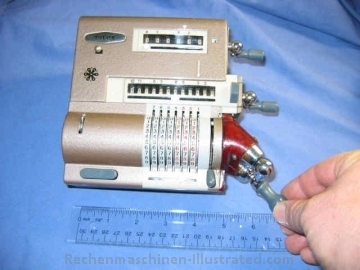 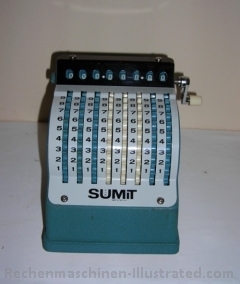 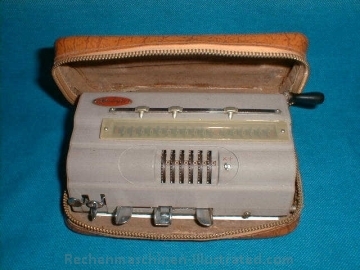 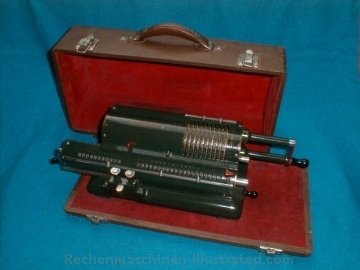 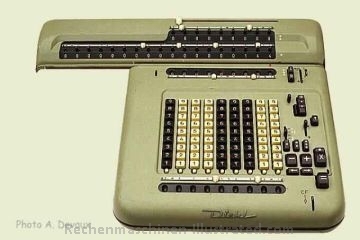 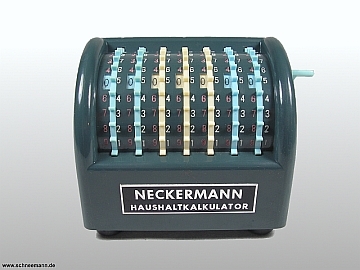 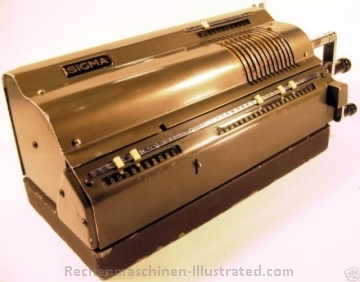 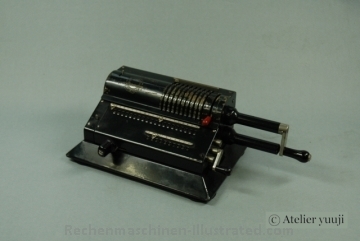 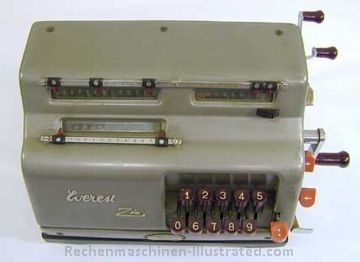 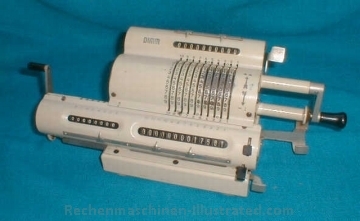 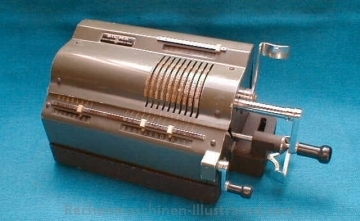 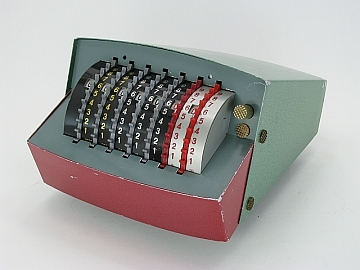 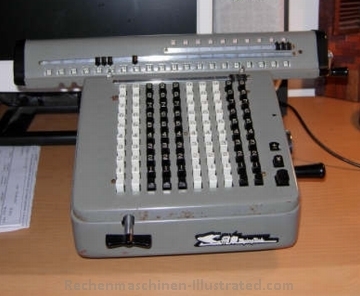 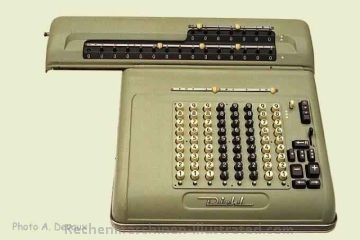 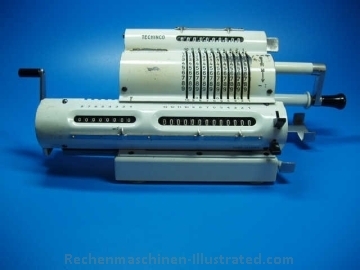 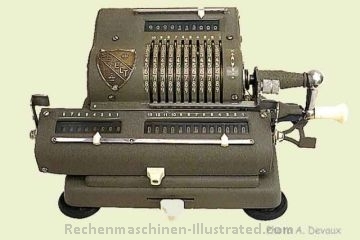 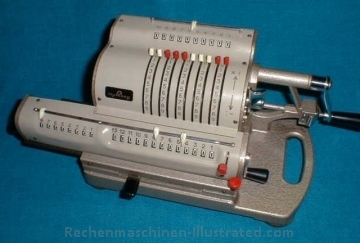 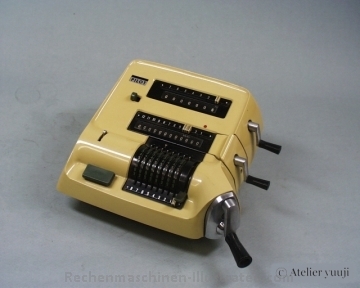 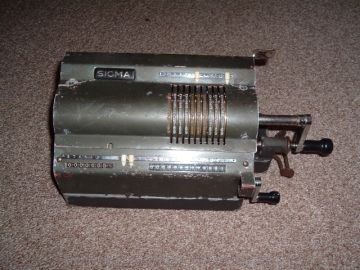 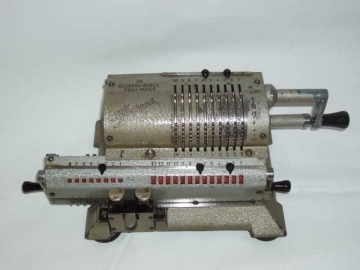 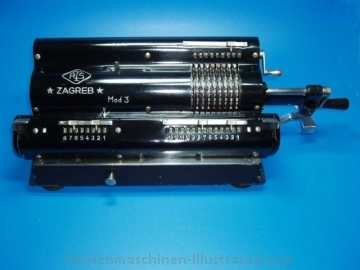 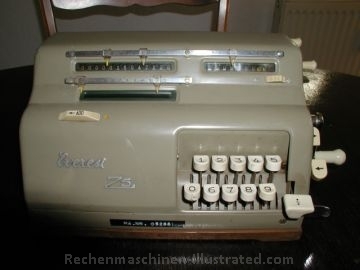 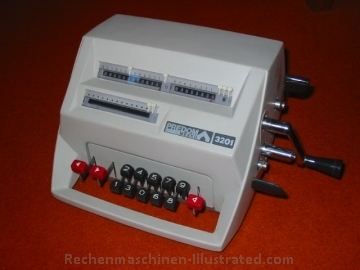 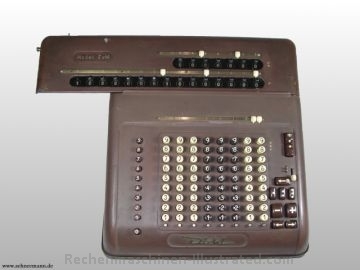 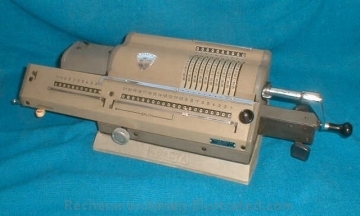 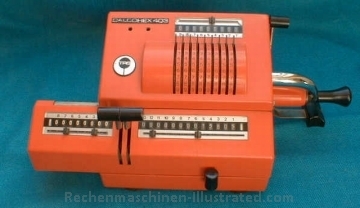 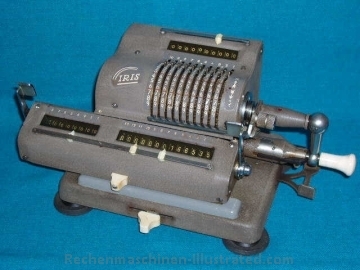 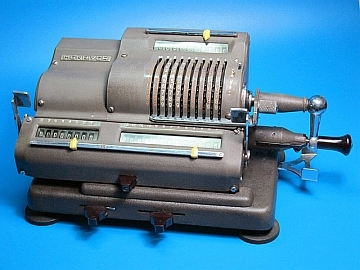 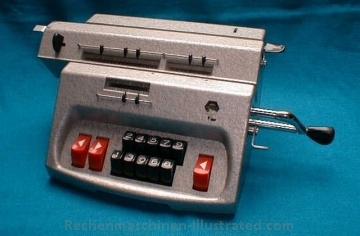 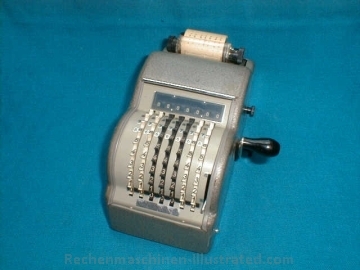 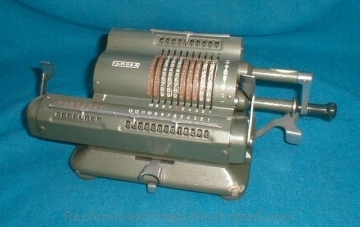 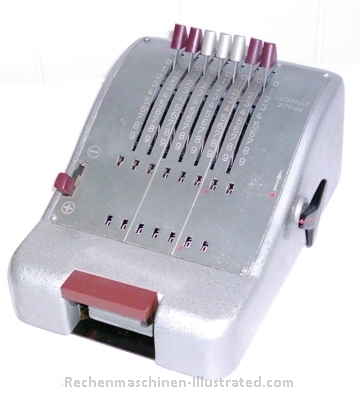 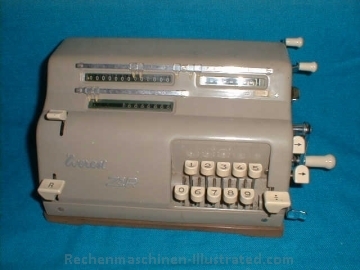 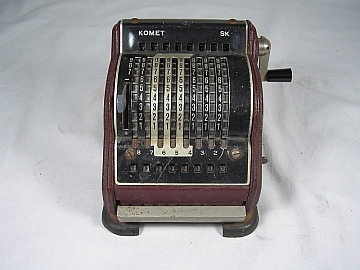 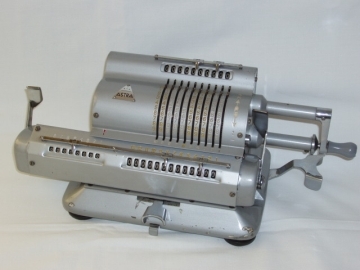 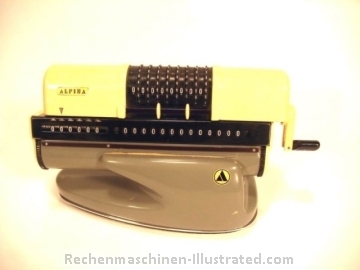 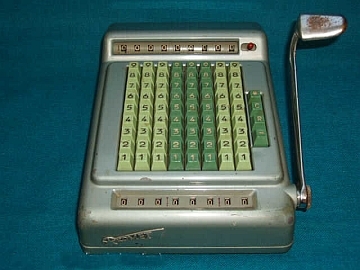 distributor: Steiner Calculator, Milan, Italy ?? 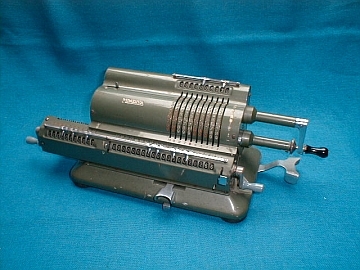 identical to "Helios" but with clearance cranks instead of arms. 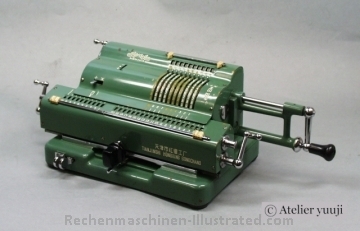 System "Marchant XL"
"PILOT is a famous Japanese stationary goods manufacturer and distributor. 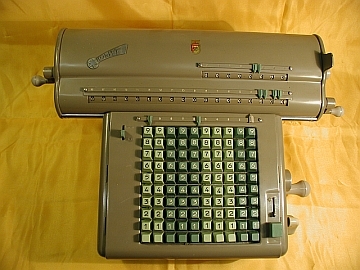 PILOT merged Keybar and re-named it PILOT Jimuki (business machine) Co. Ltd. 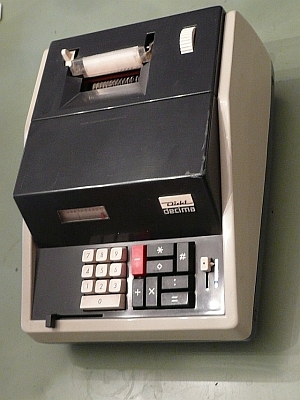 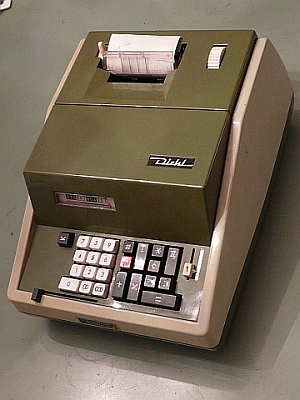 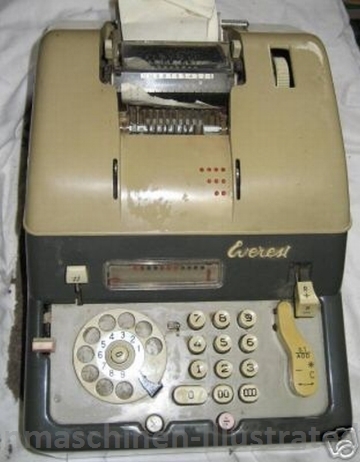 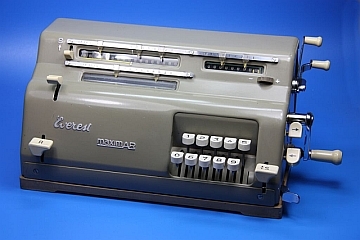 PILOT stopped its business of mechanical calculators around 1969."